My love for +Lush Cosmetics products is no secret, I rave about their products to my friends constantly. I fell in love with Lush a few years ago. I had never heard of them previously but I wandered into one of their stores and was instantly intrigued. My favorite aspect of Lush is their promise to never test on animals, I recently gave a presentation for my public speaking course on how horrific animal testing is and all of the alternatives that are available. (Just an FYI the alternatives are not only less expensive, but they can yield better results.) I might chose to upload that presentation here at some point. 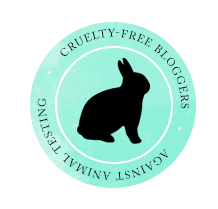 In addition to not testing on animals, many of their products are vegan, they are natural based (using synthetics only when necessary), and they work like a dream! For the holidays this year I decided to interview at one of the nearest Lush locations and I was hired! I'm thrilled to work for such an ethical company and I've learned so much in the past few months. To start the launch of this blog I wanted to talk a bit about a company I found this summer, a company that inspired this blog and my quest to find more responsible companies. The Elephant Pants is an awesome Brooklyn based clothing company, a portion of the proceeds from every sale goes to the African Wildlife Foundation, and helps to combat the poaching of elephants. So far their online shop sells pants, totes, jewelry, shorts, tapestries and rompers, but they are always adding new items. I became a brand ambassador for the company in September when I purchased my first few pairs and I'm actually in love with the brand, the pants are so light and comfortable and the prints just keep getting better and better. There aren't many companies that admit to how their products are made, but the seamstresses that make the pants in Thailand get paid double the standard wage, health care, and a clean friendly work environment.